Recently I’ve been in a discussion with colleagues about how to deal with clients who don’t pay your invoices on time (or at all). It’s an upsetting topic. You’ve worked with someone on a project, you’ve established what you thought was a decent relationship, you’ve given them good work, on time — and then they ignore your bills. I’ve discovered that people react in all sort of ways to a client’s deliberate failure to pay up. In my case, I feel insulted. I feel angry. And I feel even angrier when I realize that I now have to invest time trying to collect my money. Inexperience. The client is a sole proprietor with no previous business experience (they had always worked in a corporate environment where they never had to think about expenses). They have no office manager, no bookkeeper, no budget, and no established system for paying clients. Cluelessness. The client offers a touchy-feely service like “positive visualization.” For whatever reason, I’ve had two personal growth coaches attempt to ignore my bills for web content writing — even though they were using my content on their sites. Delusions. The client is a technology startup. When I quoted my rates, they tried to talk me into a fancy title and ownership of some unspecified “share” of their “sure-fire” company. Shady business. There is very little evidence of the people, or their company, online (by Googling names and email addresses). It’s as if they’d landed from Mars. When I check the state government’s online public records of business licenses and registered corporations, there is no record of the company, or the records connect back to an off-shore corporation. Lack of authority. The person who is contracting with me to do work for a large, legitimate company is himself (or herself) a contractor rather than a company employee. When my bill is ignored, they’re sympathetic but have no authority to enforce my contract with the company or get me paid. I’ve learned the hard way that it’s better just to pick the right clients in the first place. While I can’t see this being your problem, It’s somewhat related. Art school didn’t cover invoicing (among other business practices) and I’m always amazed at how long it takes some people to figure it out. Correct invoices mailed directly to the correct person (often not the person who contracted me, but someone in the finance department) solved some of my problems. When starting a client relationship, getting information on how to bill them is an important point to cover. Margaret, great point. I have run into billing problems when my contact at a marketing department changes from an experienced director or manager to a newbie. If the newbie has never approved a contractor invoice, they often delay for weeks because they aren’t sure of what to do and or don’t know who to send the bill to in the finance department. With so much turnover at companies these days, it’s not uncommon to discover that your bill is stuck somewhere in the system. I’ve also had that happen when a client company is acquired, or merges, and the new finance system has a different payment or invoicing system that my project manager is struggling to understand. GREAT post! Glad to hear freelancers giving advice on how to avoid getting stiffed. Conversation that needs to be had! This is a great posting, full of wisdom! Like so many situations in life, we sometimes get a gut feeling or warning signs about these things — and then ignore that and continue onward only to look back later and regret it! I like your common sense approach, and I’ll remember your warning signs for the future. It’s a tough market. Once or twice a year I find myself in a situation where a major project has stalled, and I have available hours in the month, and I agree to take on a client who has The Warning Signs. Oh, no. Perhaps we need a support group to talk each other out of the temptation! Great suggestions Karen. I’ve been fortunate to mostly deal with either government or large corporations in my consulting work. 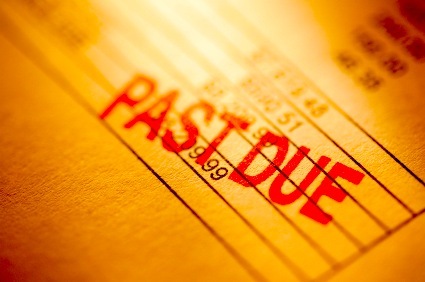 Getting the details of payment ironed out is often the first order of business. There is some comfort in that as opposed to a more nebulous business proposition. Currently I’m working for a small family business, and when I am due money, I ask and they write a check. No written agreements yet, and they have been quite reliable, but one certainly has to be careful. I work for two family businesses. It’s worth meeting at least more that one family member, so that if something happens to your main contact, the other person knows about your and you know about them! Ooooh yeah: when I do promotions work as a contractor, it’s the same thing. Everyone’s out of state, their contracts are generally to protect THEM, not you — and I’m certain a lot of ‘wage theft’ happens. But, sometimes it’s like resolving to pick your parents: easier said than done, starting out. Pingback: The 5 Warning Signs of a Deadbeat Client | Best Last Ditch Deadbeat Client Collection Letter Ever!